But another day was Sunday August the 28th. The sun was shining. And hope was high. Yesterday was but a memory. And as it was closing to evening and opera night, still the rain had not come, and it was a nice hot evening. For the first time my parents was to see Aida in the Arena. The perfect end of a perfect day. 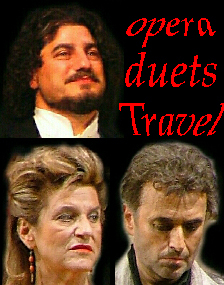 Being tourists in Verona, and then a soiree with JCx-friends as an aperitif for the opera, even though the Radames of the evening was Salvatore Licitra and not Jose Cura, our hero for the Jose Cura Connexion. My parents was so overwhelmed by Aida that they simply refused to go to another opera, Turandot with Jose Cura as Calaf (August 30th). And I do agree with my parents: this was a perfect Aida. Salvatore Licitra with his ringing voice. Marianne Cornetti as Amneris and Amarilli Nizza as Aida was great. 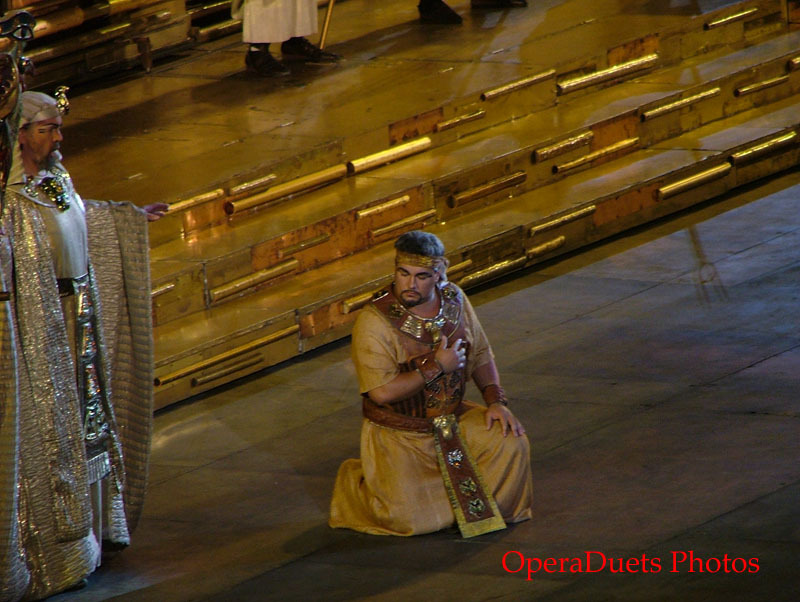 Carlos Striula as the King and Giorgio Surian as Ramfis was two great basses. Silvano Carroli did his best as Amonasro, a bit worn in voice. The acting was phenomenal in this Aida. Just on the point, and never a second late or too early, the ever-troubling problem of opera acting. Salvatore Licitra was so great as Radames that I almost thought of changing Jose Cura for Licitra. But my heart is set on Cura. Even if I thought that Licitra sang more beautiful than Cura, but I cannot imagine myself traveling so often for Licitra. It will be always JCx! !